Gilbert’s Grocery, on Mississippi Avenue in North Knoxville’s Lonsdale neighborhood, held the distinction of being my most reliable order when I was responsible for a Sunday delivery route at Swan’s Bakery in the mid-1960s. Mr. Gilbert, who operated out of what had obviously been built as a small residential dwelling, always wanted the same order: one standard loaf of white bread, wholesale priced, as I remember, at 18 cents. I never asked Mr. Gilbert why he needed that one loaf of bread on Sundays, but I always suspected that it was for his family dinner. I never saw a customer in his store, though sometimes his wife would be present. Gilbert’s, my third stop when I was running that particular route, was a quiet refuge after my first two customers, both of which were interesting in different ways. 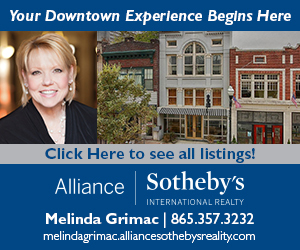 I began my route on University Avenue at a small café a couple of blocks from Knoxville College. There were a half-dozen tables and a counter with stools. The owner, a slender black man, was always friendly, and depending on how busy he was, usually had a joke or two. And, though it was early on Sunday morning, he always had several customers drinking coffee and eating breakfast. Once, when I caught him during a slow period, I made a comment about how much business he did in spite of the early hour. He laughed and said, “Everybody comes in here to find out who got cut on Saturday night.” Deciding to play it straight, I chuckled and told him I’d see him next week. My second stop was the Cas Walker store two blocks away on Western Avenue. There, the manager I had to deal with—as with most Cas Walker stores—was usually difficult, holding a rather high opinion of his position as it related to his suppliers. As we trudged up the aisles—me wrestling with the flattened bread boxes I had just emptied—he would invariably hawk and spit on the floor of his grocery store. If I had needed an excuse not to do any of my own shopping at a Cas Walker store, he provided it. After Gilbert’s, I had one more stop before crossing over the interstate into the friendlier environs of Happy Holler. The Beaumont Milk Depot was a generally cheerful place, operated by a woman who sold bread, milk, eggs, and butter, but whose primary money-maker was hamburgers and hot dogs and soft drinks. She had a couple of tables and a counter with a few stools, and usually by the late-morning hour when I arrived she had three or four customers, including a friend or two who had stopped by to visit with her. Sometimes I would pony up for a 50-cent hamburger and eat lunch with her. One spring morning, just as I was getting ready to leave the store, a car stopped in front and a shirtless guy who looked to be in his late 20s got out of the back passenger side. There were a couple of other men in the car, and the driver quickly sped off, with the former passenger angrily yelling at him. He then turned toward the Depot. Besides my truck, there was a dark blue Chevrolet sitting near the door. Its driver, a woman friend of the store’s owner, was inside. There was one other customer, a man about 35, also a friend of the owner. Everyone was looking out the open door at Shirtless, who now started yelling at us. “What are you all looking at?” he wanted to know. He punctuated his question by hitting the trunk of the Chevy with his fist. “Don’t hit my car,” the driver said. Shirtless glared at her, then noticed a lead pipe on the ground at the corner of the building. Arming himself with the pipe, he started hitting the Chevy. Meanwhile, the Depot’s owner was calling the police. The car’s owner was screaming and yelling as Shirtless started using the pipe on the car windows, breaking the back windshield, then the front. He moved on to walloping the top, the trunk lid, the hood. The male customer grabbed a butcher knife from behind the counter and started toward the door, but the rest of us prevented him from going outside. Finally a couple of police cruisers arrived. Shirtless took one look and threw the pipe on the ground and stood quietly, waiting to be cuffed. 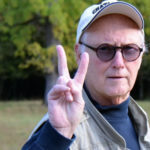 After I had told the policeman what I had seen, while the Chevy’s driver was tearfully telling her husband what had happened to their car, I got in my truck and headed to Happy Holler, where, hopefully, my next stop would be routine. 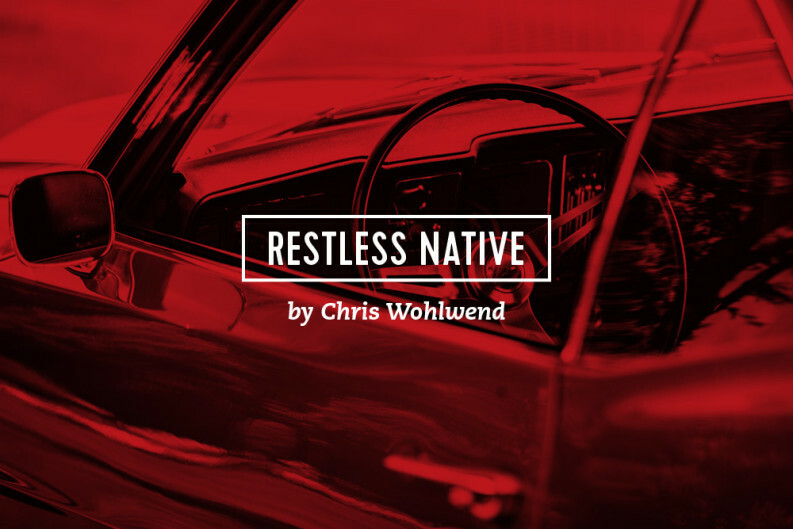 Chris Wohlwend's Restless Native addresses the characters and absurdities of Knoxville, as well as the lessons learned pursuing the newspaper trade during the tumult that was the 1960s. He spent 35 years working for newspapers and magazines in Miami, Charlotte, Louisville, Dallas, Kansas City, and Atlanta. As an editor, he was involved in winning several national awards. He returned to Knoxville in the late 1990s and now teaches journalism part-time at the University of Tennessee. His freelance pieces have appeared in The New York Times, The Boston Globe, The Philadelphia Inquirer, and numerous other publications.